Raise a toast to those who have moved on to the great hall in Valhalla and now sit beside Odin, with this Viking Mug Tankard. 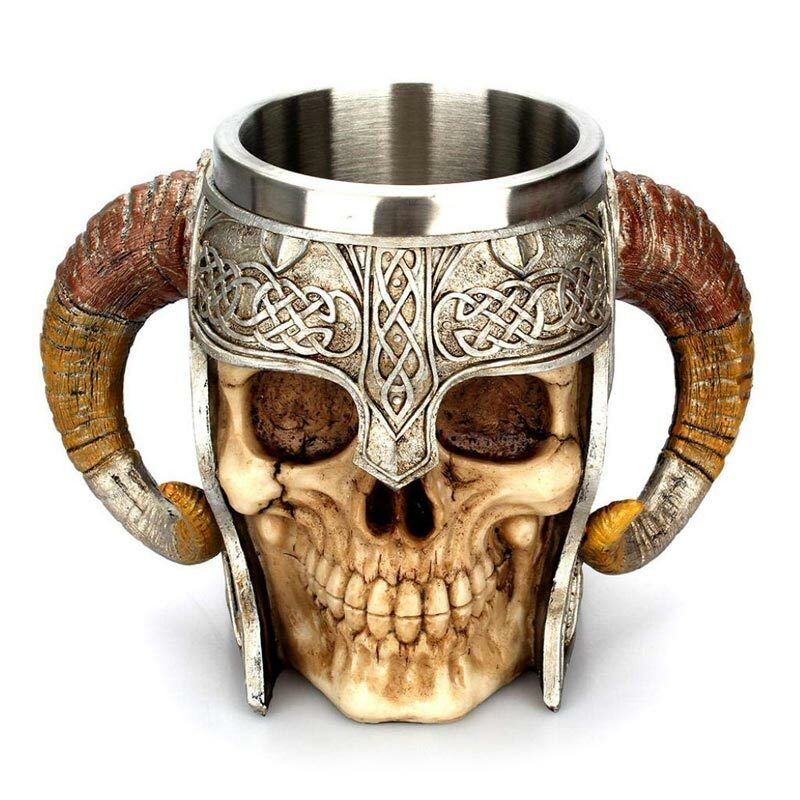 This hand painted, on quality cast resin, Viking Tankard will get your friends talking. 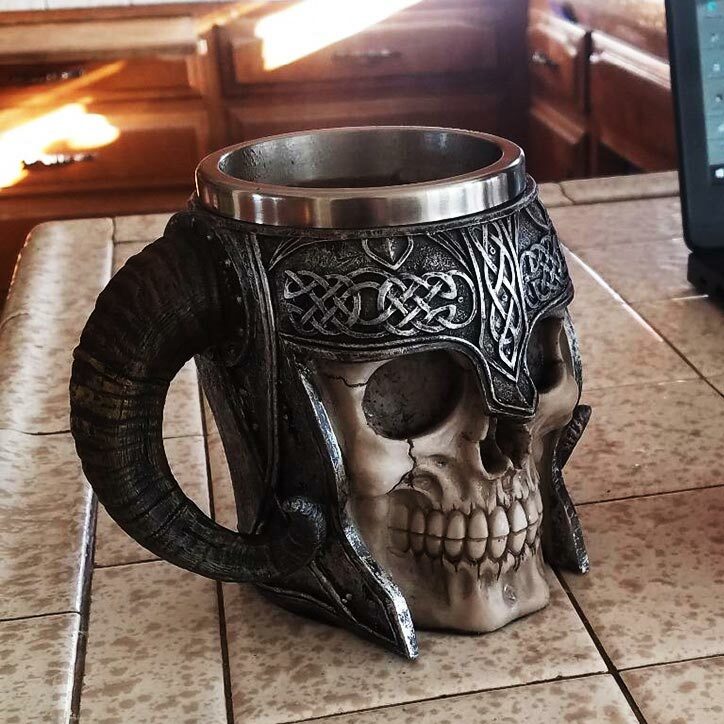 With a realistic large Viking skull carved on the mug and great attention to detail in the design, this is a good gift for the fan of Norse mythology, Viking history, or as perfect Halloween gift. This Realistic Viking Mug is made out of high quality of resin with stainless steel liner, safer for drinking. 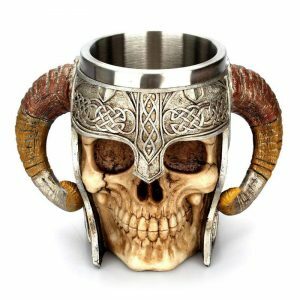 The Viking Tankard is perfect for parties and events. 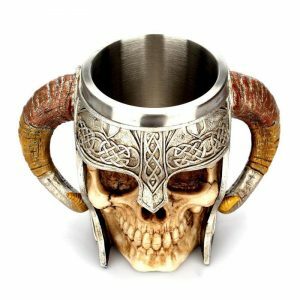 Imagine your beer buddies holding this crazy horned skull and drinking at a pool or boat party, how cool would it be with this awesome mug! 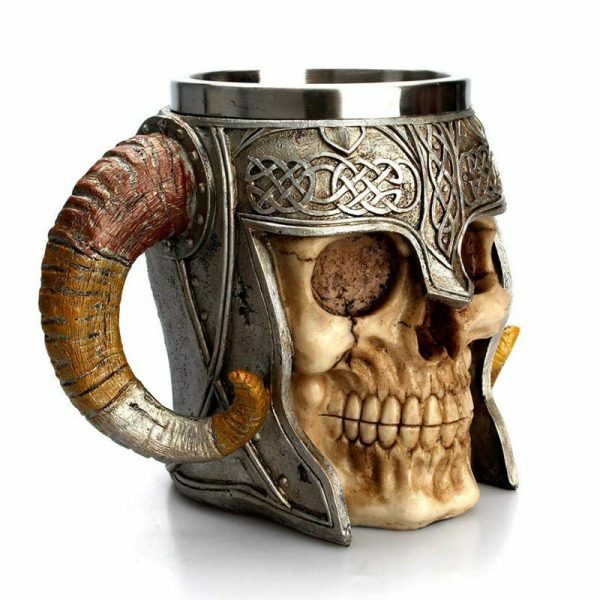 This skull tankard could be a great gift for your family and friends who love skulls, Viking history or Norse mythology.